Intel develops the first microprocessor, the 4004. Steve Jobs and Steve Wozniak are building and selling "blue boxes" in Southern California in 1971. Gary Kildall writes PL/M, the first high-level programming language for the Intel microprocessor. Gary Kildall writes a simple operating system in his PL/M language. He calls it CP/M (Control Program/Monitor). Mr. Kildall spiraled downward into depression and alcoholism. On July 11, 1994, three days after striking his head against the floor of a tiny basement watering hole in downtown Monterey, he died at age 52. The real culprit in Mr. Kildall's death was his inner torment over an industry that had forgotten him. 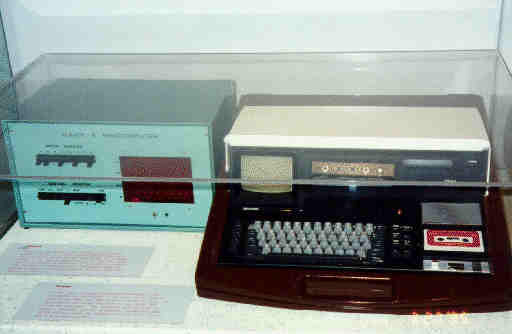 The first non-kit computer based on a microprocessor (the Intel 8008). Built in France, the Micral is advertised in the U.S., but is not successful there. 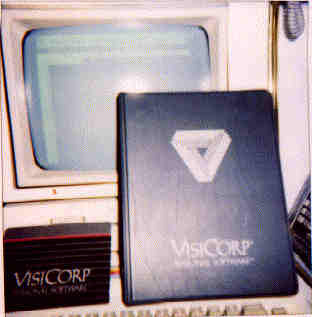 The term "microcomputer" first appears in print, in reference to the Micral. It's creator was François Gernelle and Philippe Kahn developed the software. André Truong Trong Thi the boss at R2E tried to commercialize it but selling for $1,750, the Micral never penetrated the U.S. market. In 1979, Truong sold Micral to Bull. 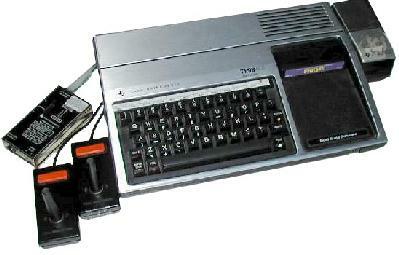 Jonathan A. Titus designs the Mark-8, "Your Personal Minicomputer," according to the July, 1974 cover of Radio-Electronics. MITS Altair kit computer, an electronic hobbyist's dream, comes to life for only $US397. Paul Allen and Bill Gates develop BASIC for the Altair 8800. Schoolmates Paul Allen (left) and Bill Gates go corporate and establish their own company Microsoft. Steve Wozniak and Steve Jobs finish work on a computer circuit board, that they call the Apple I computer. 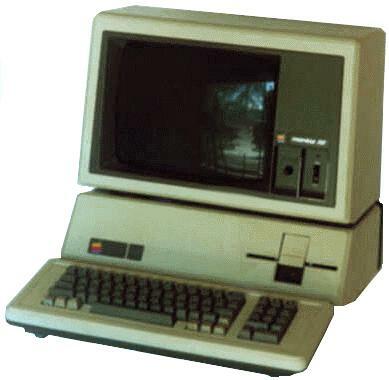 10 months after its introduction, 175 Apple I kits have sold. Steve Wozniak (left) and Steve Jobs start Apple Computer in the Jobs family garage. 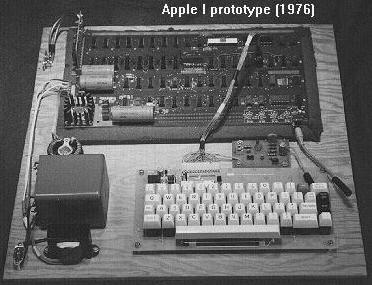 The year 1977 saw an explosion of interest in personal computers and the introduction of a long succession of machines--the Commodore PET, the Radio Shack TRS-80, and most important, Steve Wozniak and Steve Jobs's Apple II. The rest of the decade saw dozens of very different designs, as one new company after another tried to define a unique combination of power, price, performance, and features. 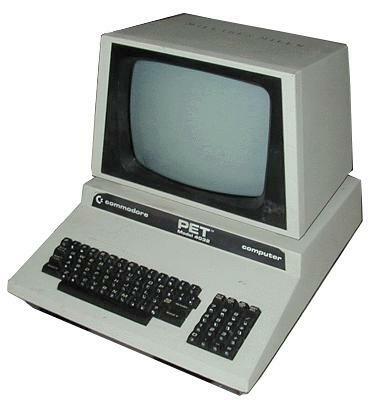 Machines introduced in this period ranged from offerings for home and hobbyist users--such as Commodore's Vic-20 and 64, Atari's 400 series, and Texas Instruments' TI 99. To more business-oriented devices, such as a series of machines from Tandy/Radio Shack and a host of designs that ran Digital Research's operating system CP/M, which was written by personal computing pioneer Gary Kildall. 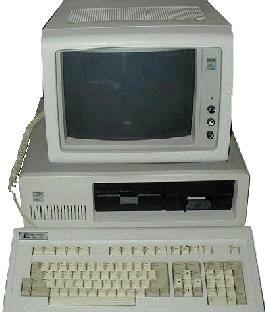 Intel 8086 provides 16-bit power and is initial choice for the IBM PC. Software Arts develops the first spreadsheet program, Visicalc, by the spring of 1979. It is released in October and is an immediate success. Copies shipped per month rise from 500 to 12,000 between 1979 and 1981. 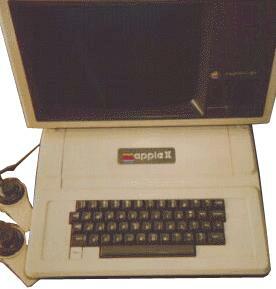 Apple Computer introduces the Apple III at the National Computer Conference, in Anaheim, California. 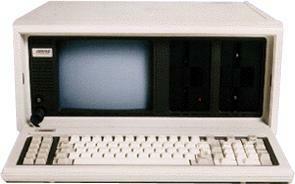 In 1980 Microsoft is approached by IBM to develop BASIC for its personal computer project. 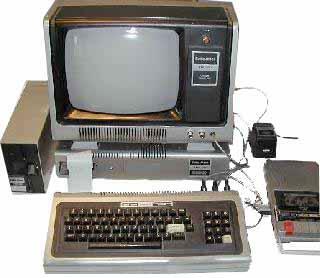 The IBM PC is released in August, 1981. Osborne 1 demontrate that portability is an early dream. 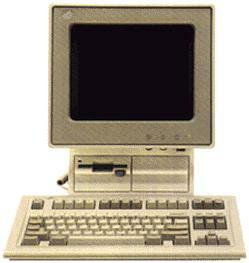 Compaq introduces its first PC, the Compaq Portable and the clone wars begin. 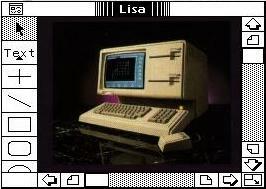 The Lisa hints at the great strides in graphical computing to come from Apple. IBM boost its PC line with the PC-XT. Borland incorporates with Philippe Kahn as its chairman. Lotus 123 sets the pace for PC software. The PC is named Man of the year by Time Magazine. Hewlett-Packard ships the first laser printer. IBM revs up the PC-AT with the INTEL 80286 processor. 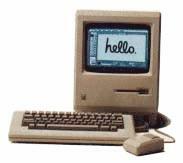 The Apple Macintosh debuts in 1984. 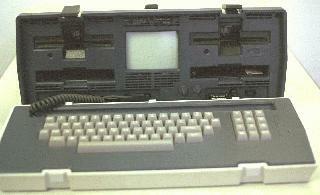 It features a simple, graphical interface, uses the 8-MHz, 32-bit Motorola 68000 CPU, and has a built-in 9 inch B/W screen. Michel Dell starts building a mail-order empire from his college dorm room. Commodore creates a cult classic with its AMIGA computer. Intel creates the era of 32-bit PC processors with the 80386 chip. Microsoft Windows 1.0 ships in November, 1985. Steve Jobs makes a hasty exit from Apple and establishes NeXT. Compaq beats IBM to the punch with the first 80386 desktop. Motorola announces the 68040, a 32-bit 25MHz microprocessor. The PS/2 becomes IBM's big push for a second generation line of PC's. IBM fights to take back market control with Micro channel. 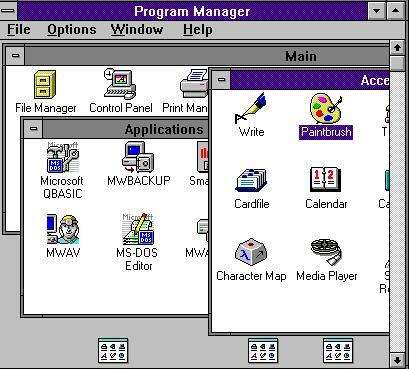 The continuing IBM/Microsoft partnership produces OS/2, Version 1.0. After three years of development, NeXT Computer introduces the radically different Nextcube. An industry coalition counters IBM's Micro Channel architecture with EISA. The Intel 80486 processor includes a level 1 cache on the chip. Microsoft's sales for 1989 reach $1 billion, the first year to do so. 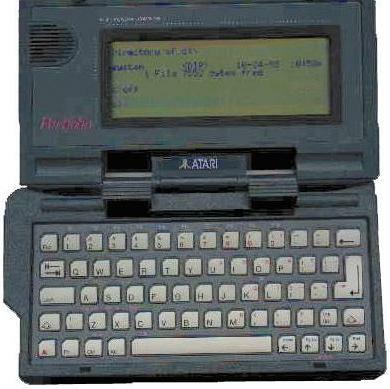 In 1989 ATARI introduces the Portfolio making it the world's first palm top computer. Microsoft puts some real life into Windows with the version 3.0. 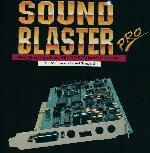 Creative Labs introduces the Sound Blaster Pro Deluxe, the first stereo PC sound card. Microsoft DOS 5.0 is released. It adds a full-screen editor, undelete and unformat utilities, and task swapping. The US Federal Trade Commission begins an investigation of Microsoft Corp., for alleged monopolistic practices in the PC software market. PowerPC 601 system signal the first new computing platform in years. Intel tops 3 million transistors per chip with the Pentium. First version of NCSA's Web browser Mosaic made available to Internet community. Laptops start sporting serious desktop like features such as CD-ROM drives. Netscapes posts the first beta version of Navigator. Microsoft rushes to join the browser wars with Internet Explorer. Java becomes an instant addiction. Windows CE devices give the hand-held computer market a needed boost. The U.S.Robotics Pilot is introduced, a Personel Digital Assistant that's not embarrassing to carry. Intel adds multimedia extensions to the Pentium processor with MMX. Intel introduces the 300 Mhz Pentium II. Attorneys General from 20 states and the District of Columbia filed an antitrust lawsuit against Microsoft. Microsoft released Windows 98 in June. 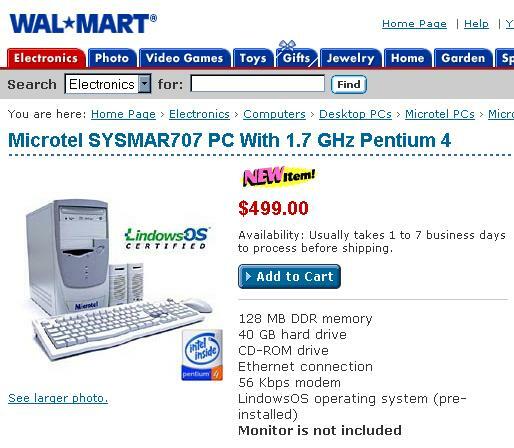 Intel introduces the Pentium III processor at 450, 500, 600, 750 and 800 MHz. 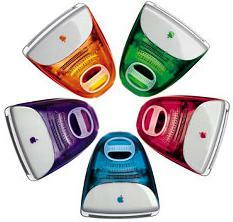 Apple's iMac for 1999 is available in five translucent colors. 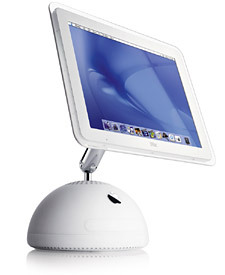 Apple introduces the Mac G4. 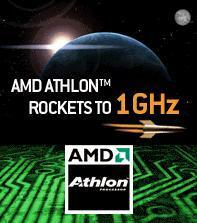 AMD introduced the 700MHz AMD Athlon processor. The Y2K BUG is around the corner! Y2K BUG, As the midnight hour passed around the world, no major computer glitches surfaced to spoil the global celebration. The first commercially available systems based on the 1GHz AMD Athlon processor is made available from Compaq Computer Corporation and Gateway, for $2,499. Thursday Sep. 14, 2000 Microsoft released Windows Me, short for Millenium Edition. Intel introduced the Pentium® 4 processor at 1.5 and 1.4 GHz speeds. 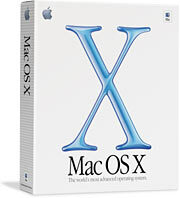 Mac OS X is the worlds most advanced operating system, combining the power and openness of UNIX with the legendary ease of use and broad applications base of Macintosh. Click here for a comprehensive computer list.